The Kernos Cookbook has now been published and is available for a donation of just £5 per copy – ideal Christmas presents for friends and family. We hope you will enjoy reading and trying the recipes, all of which have been supplied by our clients, counsellors, friends, volunteers and supporters. The cost of actually producing the Cookbook has been met in its entirety by a very generous supporter – which means that all of the money we raise from donations will go towards helping the Kernos Centre stay open, providing much-needed help to anyone in need, regardless of their ability to pay. The Cookbook donations will make a real difference to people – both young and old – with psychological or emotional problems, in Sudbury and the surrounding area, who desperately need, and will benefit from, our services. 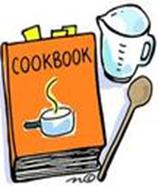 You can make your £5.00 per copy donation, and collect your Cookbook(s) personally, by visiting us at the Kernos Centre, 32-34 Friars Street, Sudbury CO10 2AG. You can also order the Cookbook by post. Just send a cheque to us at the above address, made out to ‘The Kernos Centre’, for £5.00 per copy plus £1.50 postage and packing (for up to 3 copies), along with your name and address details.